Volume 4, Edition 25 Trouble loading? View this email online. 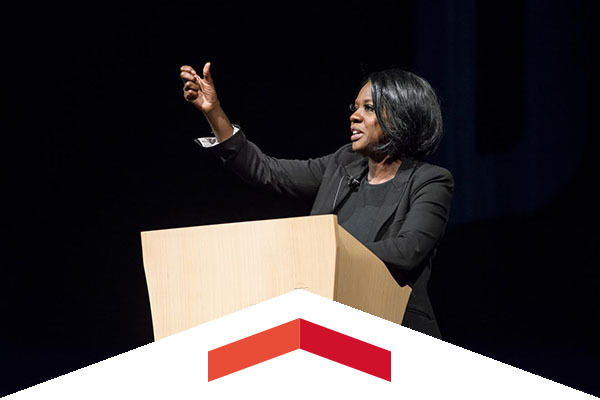 Award-winning actress Viola Davis, who is currently up for the Oscar for Best Actress for her work in Fences, delivered a powerful speech to a sold-out VPAC crowd. Associated Students sponsored the event, which had the crowd enthralled with Davis. 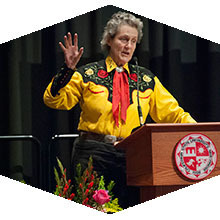 World-renowned autism advocate Temple Grandin talked about her incredible life and journey toward acceptance as part of CSUN’s series Education on the Edge. 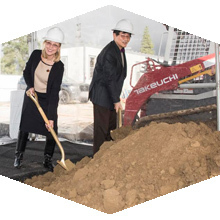 CSUN took the first step toward greater research success with the groundbreaking of the 10,000-square-foot Research Building 1, which will enable and encourage multidisciplinary research teams of faculty and students to collaborate on a wide variety of projects. Wed, Feb. 15, 7 p.m.
With the season winding down, the Matadors look to finish strong against the rival Mustangs inside the Matadome. Fans in attendance will be able to take part in It’s On Us, an initiative encouraging people to take the pledge to keep men and women safe from sexual assault. Fri, Feb. 17, 2 p.m. The Matadors, coming off an impressive 33-22 record in 2016, take to the diamond for the first time in 2017 against the Portland Pilots. The first 100 fans receive a 2017 schedule poster. Sun, Feb. 19, 3 p.m.
Shaolin Warriors celebrates the art of kung fu, with mesmerizing skill, stunning movements and spectacular imagery. In a fully choreographed production, the martial arts masters offer insight into the warriors’ daily life and Zen philosophy. Alumnus Patrick Prager’s journey from being a non-traditional student to opening his own martial arts studio. Play 4 Kay: Women’s Basketball Joins Battle Against Breast Cancer, Feb. 16, 7 p.m. Honoring the memory of the former North Carolina State women’s basketball coach Kay Yow, who passed away after a brave battle against breast cancer, the women’s basketball game against UC Irvine will raise funds and awareness for the Play 4 Kay initiative and its fight against breast cancer. The project’s proposed features include a new entryway honoring Matador Baseball history, an expanded hitting facility, a state-of-the-art team building, chair back seating, some premium donor areas, new restrooms and concessions, and children’s play area and grass berm seating. CSUN alumni are invited to the Child and Adolescent Development Chapter’s workshop, titled Advocating For Children & Families Through Community Service. Sign up today for this worthwhile event, which also benefits the CADV Alumni Chapter Scholarship Fund. All SRC members are invited to enhance their personal fitness with this full-body workout focused on key boxing skills that include shadowboxing, heavy bag, speed bag, jump rope and sparbar. Participants who complete the challenge workouts will also be eligible to enter a raffle to win boxing gloves, ear buds, jump ropes and more.